systematically photographing the 32 acre jail complex as part of a required HABS (Historic American Buildings Survey) documentation before the institutional structures and outbuildings built between 1872 and 1929 could be demolished to make way for modern condominiums. 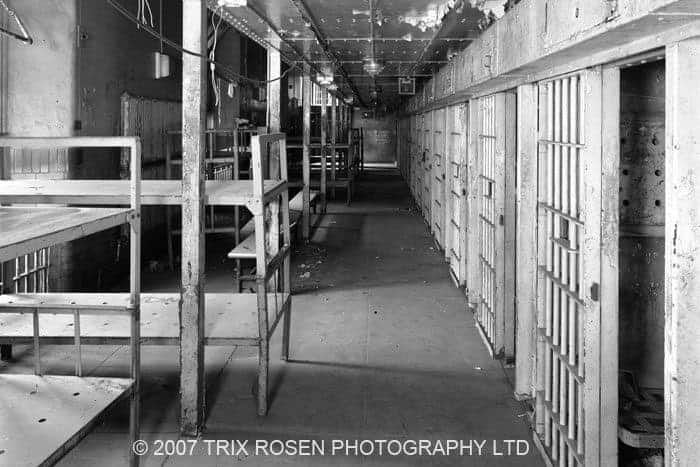 It was a cold December day in 2007 when I first walked through the dank prison in North Caldwell, New Jersey. 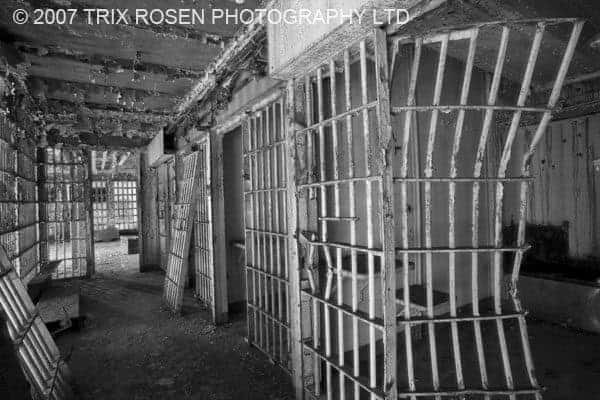 The eerily silent jail complex appeared like a forbidding rusted ruin concealing deeply etched memories of its ghostly inhabitants within the walls. My first job was to design a shot list that would become the basis for my final (107) 4” x 5” b/w film documentation. During my walk-through with architectural historian Ken Kalmis, I composed hundreds of digital images for reference. 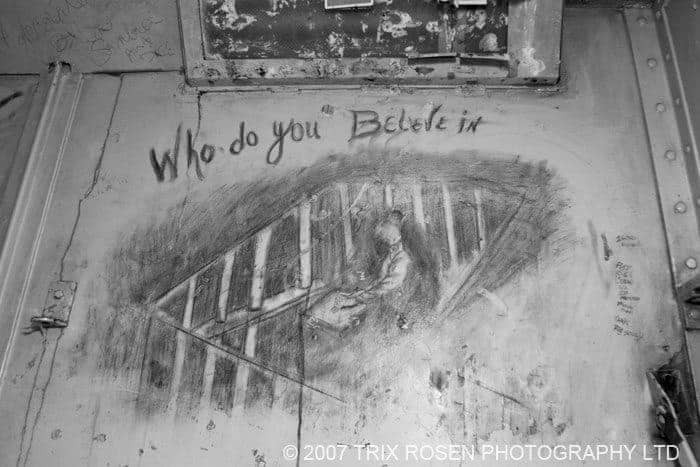 The cell blocks, corridors, commissary kitchen, dining hall, holding pens and Power House were enormous spaces, and the light filtering through the oversize dirty and broken windows created a chiaroscuro effect on the floors and walls. To capture the details, the patterns and textures in the highlights and shadows, and to tell the evocative story of each room was a challenge. The solutions demanded a photojournalist’s insight to stay true to the narrative, lighting skills to creatively equate ambient light and fill flash, and knowledge of the guidelines for the long-term preservation of historic documentation. 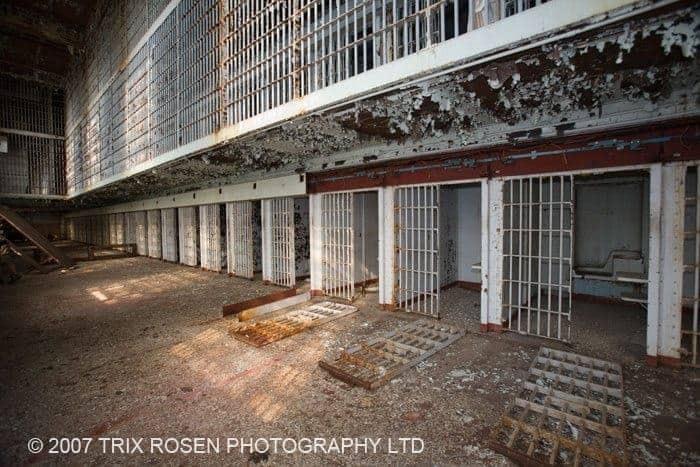 On Tuesday, September 6, at 7:30pm, I will be presenting a slide show of images from my historic documentation of the Essex County Penitentiary at the Verona Historical Society. 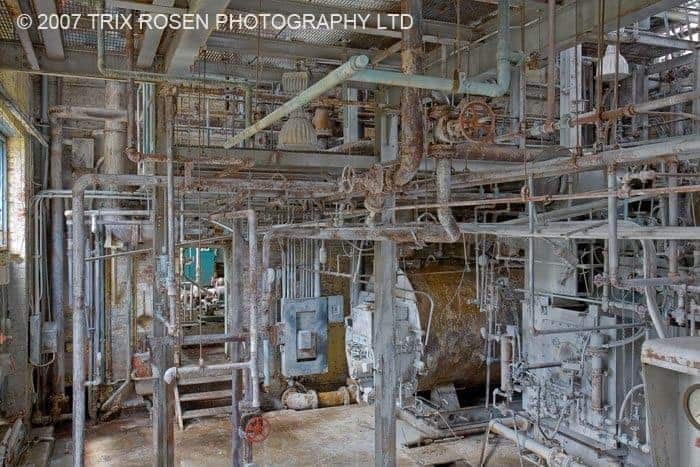 Local historian Robert Williams will guide you through the mysteries and legends associated with the buildings and property which were recently demolished. 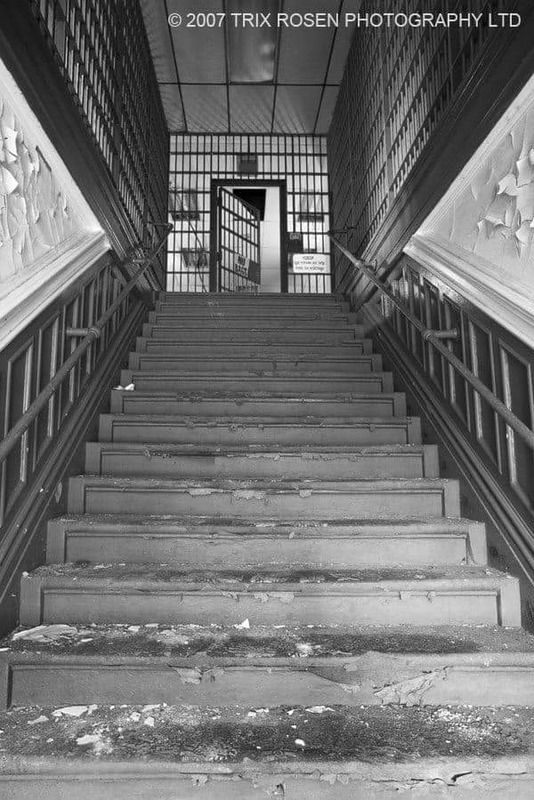 Numerous items salvaged from the buildings will be on display and prisoners will speak once again thru the tell-tale signs they left behind for us to find. The meeting is scheduled at the Verona Community Center, 880 Bloomfield Ave., at 7:30 p.m. For more information you can email the Society at twoJVO@yahoo.com or call (973) 857-1968. You will not want to miss this event–everyone is promised to leave with something to remember this important landmark and fully understand the contribution it made to our history.